Make an insect repellant you actually want to use. I live in the country and a lot of bugs have been biting me recently. I have a natural insect repellant, but I only use it if I know I am going into the backwoods. I don’t like how it smells so I don’t use it most days and find myself swatting mosquitoes and worrying about ticks. Most natural insect repellants use citronella or lemon eucalyptus as their main ingredients, but these scents don’t appeal to me. Fortunately, there are a number of other essential oils that can help repel insects. They might not be quite as strong as citronella, but I figured that if I actually used my new bug spray because I liked it, I would still be ahead. I looked at the list of essential oils commonly used to repel insects (basil, citronella, geranium, grapefruit, lavender, lemongrass, lemon eucalyptus, and peppermint) and picked out the ones that I would want to smell all day. 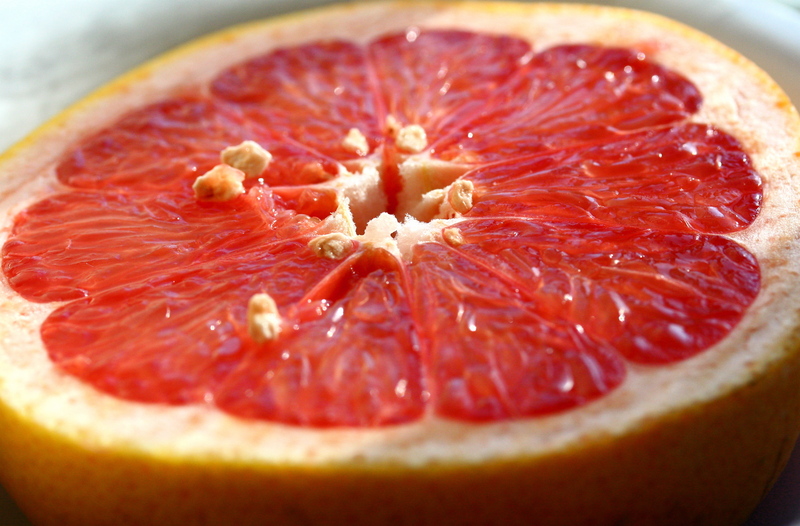 I particularly love the smell of grapefruit essential oil and it contains a compound that ticks and mosquitoes hate. Mix into 4 ounces of water in a spray mister. Shake well before each time you use it. Reapply frequently. You can modify this recipe based on what essential oils you like. I chose mostly energizing and uplifting essential oils for my blend, but you can go another direction too as far as the additional benefits of the essential oils. Also consider adding aloe or witch hazel to replace some of the water. Have fun, smell good, and tell the insects to buzz off. Laurell Matthews, ND is a naturopathic doctor with a passion for helping people understand how to be healthier using dietary and lifestyle changes along with other natural medicine modalities like botanical medicine.